Indus Foods of Birmingham are breaking new ground by investing in a 10 user Accord® Voice Warehouse Management System (WMS) for its 30,000 sq ft distribution centre. The investment will give Indus Foods all the productivity and accuracy benefits widely associated with Voice technology and will be the first installation of Voice technology into an ethnic food company anywhere in the UK. 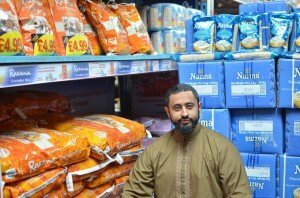 Indus Foods is a specialist Ethnic Foods wholesaler supplying businesses across the Catering, Retail, Wholesale & Food Manufacture sectors within the UK and Europe. A family run business with a long history in Birmingham, their first general store opened in 1962 and ever since they have continually invested in technology to better serve their customers. Indus Foods’ investment in new WMS technology was prompted by a strategic review which showed the company was ideally positioned to take advantage of market leading technology. It recognised that replacing its paper based system with Voice could help accelerate its growth to take a lead in the market, improving operations and offering the very best in customer service. The company undertook a rigorous selection process, evaluating systems from a number of key suppliers over the course of almost two years. Ultimately, BCP was chosen because of its ability to deliver a proven Voice WMS solution as a stand-alone component of the wider Accord ERP system. 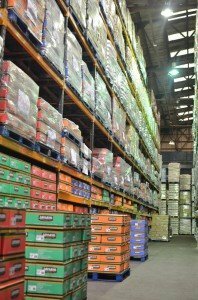 The investment encompasses BCP’s full stand-alone Accord Voice activated WMS to handle all key warehouse operations, including stock taking, goods receiving, pallet movements and picking. It will interface initially to Indus Food’s existing ERP system.